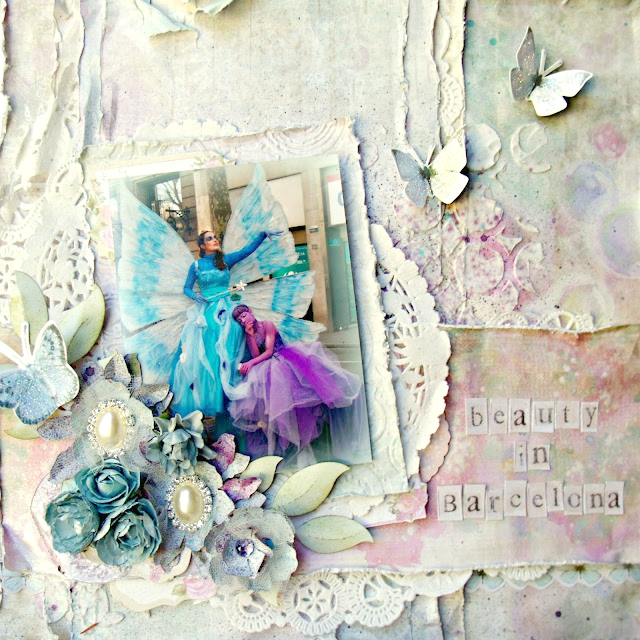 lifetime of pages: C'est Magnifique September Kit Full Reveal!! C'est Magnifique September Kit Full Reveal!! "Shabby Dreams" September C'est Magnifique kit! 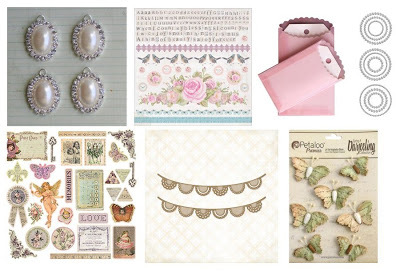 check out the sketch here and take your chance on winning our gorgeous August Kit! These are street "statues" in Barcelona,Spain. For some change in their bucket they would perform for you or draw you into their production. I have had this picture for a few years now, just waiting for the perfect paper-these were it! Yes, I went Christmas with it! That's me on the right in my homemade angel costume! 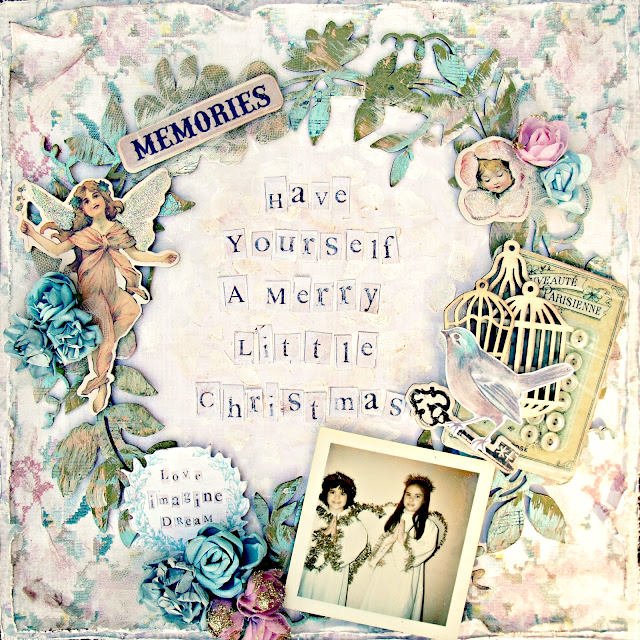 I love looking back on pics like these and the vintage style Prima chipboard seemed to go so well with my theme. How gorgeous is the Blue Fern wreath? Mine was coated with tan paint, then painted with gesso and a mix of blue,pink and green. I kissed random areas with a music stamp and added random areas of crackle. 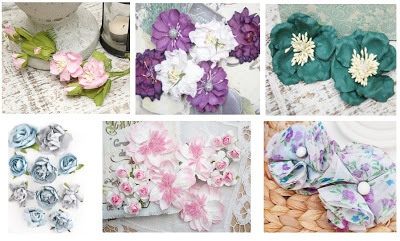 Thanks for taking a look and check out the C'est Magnifique blog for more inspiration! The Add-ons will sell out soon so hurry over and get yours! These are both so amazing! You really brought out the beauty of the kit and used it so "uniquely you!" These are my new favorites! Magically gorgeous!!! Both of them!! !